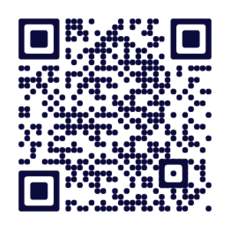 Be on the lookout for the postcard below to arrive in your mail! 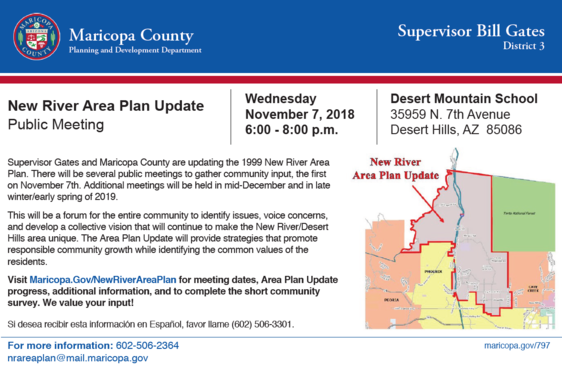 On November 7th, the Maricopa County Planning Department and I will be holding the first community meeting to gather input to update the New River Area Plan. This will be a listening meeting, and while we are aware of many concerns the community already has, we encourage you and your neighbors to attend. Your input will guide the new Area Plan. If you cannot attend the meeting, please fill out the New River Area Plan Survey, or email your comments to NRAreaPlan@mail.maricopa.gov. Information is also available at Maricopa.gov.NewRiverAreaPlan. I hope to see you on November 7th. Please share this information with your neighbors. *Anthem Community Council received the postcard for all Anthem residents in unincorporated Maricopa County.